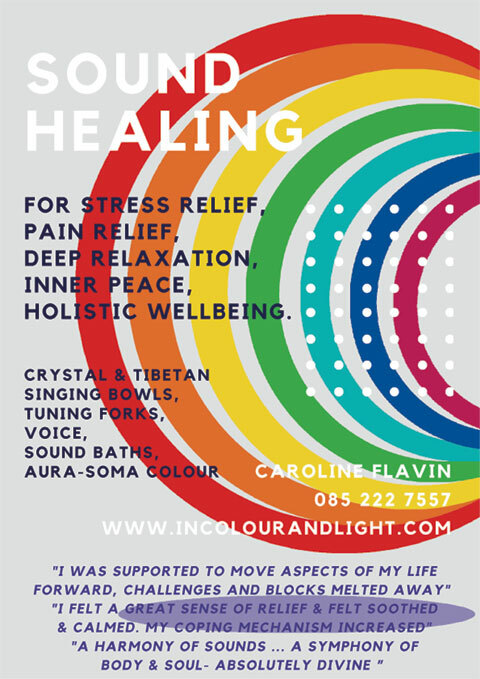 Caroline is a registered sound therapy practitioner with the Sound Healing Academy, which is accredited by the British Complimentary Medicine Association and an approved training provider with the International Institute for Complementary Therapists. Caroline held a healing women’s drumming circle for years while living in Cork and worked using sound with community groups. She has trained in many healing modalities and loves to work with the colour and crystalline vibrations of Aura-Soma Colour. She loves to create peace by holding sound baths and 1-1 sessions using Clear Quartz Crystal & Tibetan singing bowls, tuning forks and the voice. For the treatment to be most effective, 4 sessions are recommended, ideally on a weekly basis.